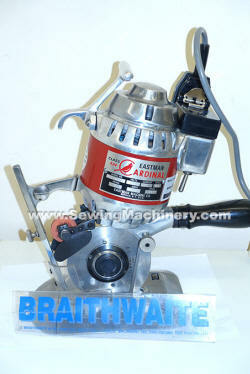 Brand leading round knife clothing cutting machine for general purpose use on cloth & textiles etc. 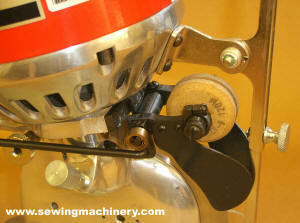 A more manoeuvrable version from the Eastman Round Knife range. 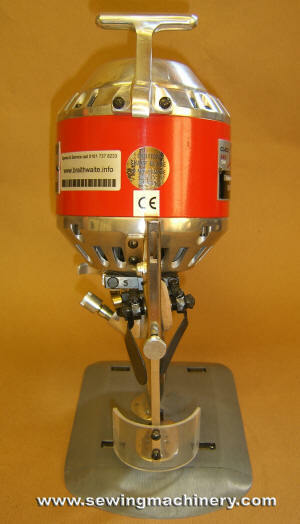 This general-purpose round knife machine delivers the same wide range of uses with the advantage of a smaller lighter package. Available with different blade sizes of 4", 5.25" or 6". The 5.25" version is the most popular. Weight: 21 lbs., 9.52 kg. Also available is the Eastman 534 cardinal which has been specially designed for low lays of wool, cotton, silk, and synthetics etc, the 534 provides lightweight manoeuvrability with more than enough power for positive cutting of these materials. 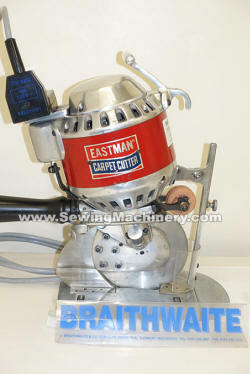 The Eastman carpet cutter 548CC is designed with a special purpose knife mounting system to cut cleanly through most pile types and backings, allowing for cutting along and against the grain in curves, or along straight edges with minimal effort, reducing operator fatigue. The Eastman heavy duty 562 and Super-duty 567 models further expand the cardinal round knife range by adding more powerful motors and blade sizes up to 7.5". 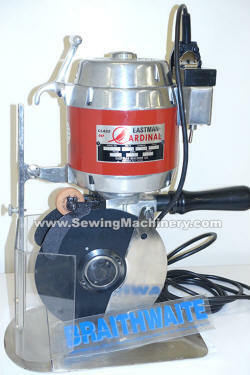 Comes complete in box with tools, spares, spare blade & instructions. 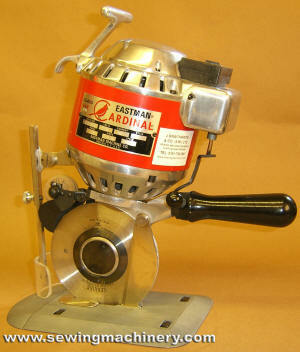 Spare blades for Eastman Cardinal Model 548, 534, 562 and 567 available form our Parts Dept.